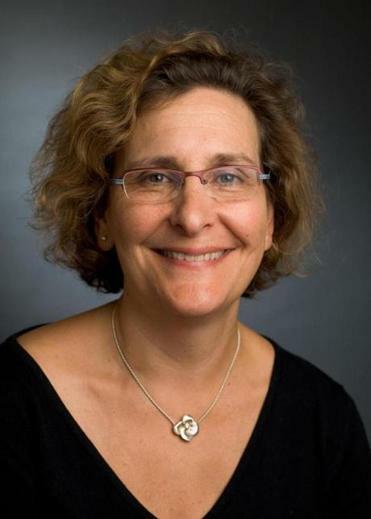 Dr. Lisa Diller, chief medical officer of the Dana-Farber/Boston Children’s Cancer and Blood Disorders Center, is an expert on adult survivors of childhood cancers. Since the early 1980s, treatment success rates have skyrocketed. Only about 20 percent of childhood cancer patients survived then; today, 80 percent live into adulthood. But many of those adults suffer health consequences from their earlier care. Diller studies those consequences to refine treatments and improve future outcomes. Q. How is it that treatment of childhood cancers has been so successful? A. The history of childhood cancer treatment over the course of the last 30 years has been astounding. It’s probably attributed to both an increase in drugs we have available and learning how to use those drugs, as well as supportive care — we know how to help kids get through their therapy. Probably most importantly, it’s a testimony to the success of research. Pediatric doctors around the country and around the world have banded together to study very rare diseases and gradually over the decades understand which treatments work better. Q. How many children get cancer, and what kinds are most common? A. There are only about 12,000 children a year diagnosed in the United States. For any one [kind of] tumor — Wilms tumor, [for example] — there are probably fewer than 500 cases in the United States a year. At Dana-Farber, we may see maybe six cases [of Wilms tumor] in a year, and that’s the most common kidney cancer in children. Q. Children get different cancers than adults. What are the major differences? A. Most tumors in adults occur in tissue called the epithelium, which comes into contact with the lungs, skin, GI tract. Childhood cancers occur in tissues that are developing. [As] those tissues are developing, something goes awry and that becomes cancer. Q. You’ve said that there are about 350,000 adult survivors of childhood cancers. What kinds of issues do they face? A. Many adult survivors have significant health issues related to the treatment they received for their cancer. Often these are problems with specific drugs they received as children. Q. What were the most toxic treatments given to children? A. Certain chemotherapies and radiation. One very common drug type, when given to children who have hearts that are still growing, when they get older, they are at risk for developing abnormal heart function, which can lead to congestive heart failure. Today, we try to limit the total amount we give, especially in very young children, and we use some drugs that are thought to prevent this cardiac effect. Q. In one recent study, you found that adult survivors aren’t emotionally scarred by their experience. Was that a surprise? A. Early researchers in survivorship were concerned we would see a high risk of post-traumatic stress disorder or psychological problems and we really don’t see that. That message has been pretty reassuring. Q. So, children with cancer usually fare well emotionally? A. The outcome of having had cancer is really related in my opinion to the way the family handled the illness. If the child was treated as the fragile child, or was selected out to be either favored or protected, there are outcomes associated with that as an adult. Q. When do you tend to see adult survivors in your clinic? Q. What do you think is the biggest difference in treatment today compared to earlier decades? A. When I ask long-term survivors what they remember about their treatment, they often say they remember the injections or the procedures, the spinal taps. What they’re saying is they remember pain. We don’t really do painful procedures anymore, [because] we have such good anesthesia. I think that will be a wonderful gift to those children when they grow up and they won’t be looking back on a time in their life when they were subjected to pain on a regular basis. Q. What do you think needs to change about medical care to accommodate the growing number of adult survivors? A. Many medical practices have specialists, but [there is] almost never . . . an oncologist in the practice. There should be people within general practices who take an interest in cancer — not that they would be making diagnoses, but they would have expertise in taking care of what happens after cancer therapy. Q. How is childhood cancer treatment changing now that we know so many patients will have a normal lifespan? A. When we sit down with parents, pediatric oncologists not only describe the treatment the child’s going to receive and the side effects he/she could anticipate from that treatment, but we also describe the long-term outcome in terms of issues like cardiac function or fertility or risk of second cancers. That’s a discussion from the first day. Interview has been edited and condensed. Karen Weintraub can be reached at karen@karenweintraub.com, or on Twitter @kweintraub.